Oradel XI: Our new speculative building (214,000 square feet) will be available in June 2018. 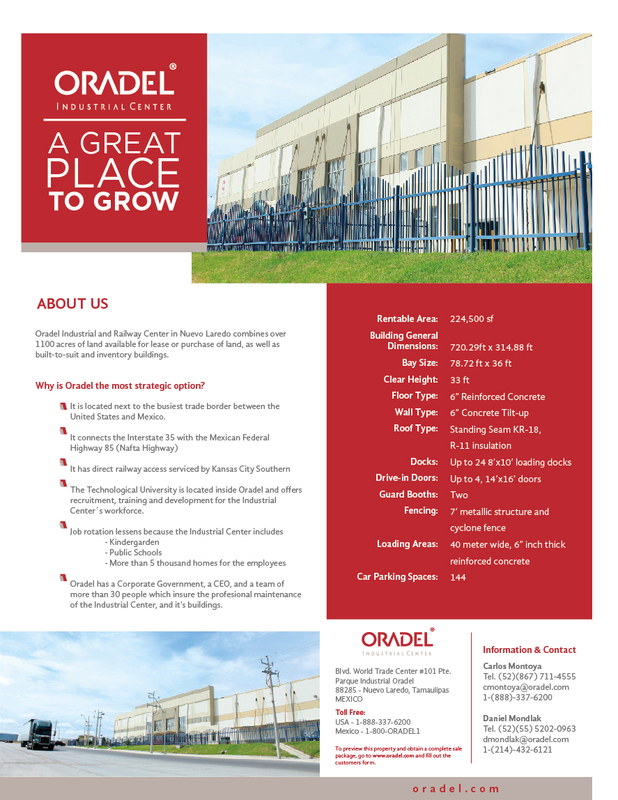 Oradel Industrial Center designs their buildings according to customer needs. The sheer amount of land provides possibilities from 1 to over 250 continuous acres for project development. Oradel has the widest range in available properties in Nuevo Laredo, for development of Industrial Buildings for manufacturing and / or logistics, warehousing and inventory management. We have lots over 250 continuous acres.